Christmas 1985 made a huge impact on my life. Why? I was given my first camera - a Minolta X300. Although my initial attempts were decidedly mediocre, I was hooked! Feeling sufficiently encouraged to pursue my new passion, at eighteen I enrolled on a three year, full time photographic course at a college in Leeds. Following this, I began working freelance for local newspapers and also carried out assignments for established photographers in the Yorkshire area. I quickly realised that some skills and knowledge can only be learnt on the job and these added an extra dimension to the training I’d already received. Working on a wide variety of assignments meant that each task brought its own unique set of challenges and made life as a photographer so exciting. 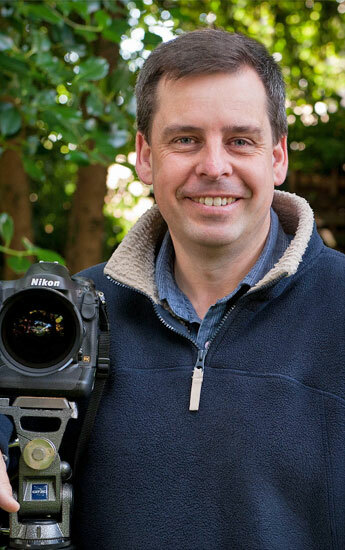 In 1995 I took the plunge and started my own business, ‘Ian Lamond Photography,’ specialising in wedding and commercial work. Then in 2006 I moved into the field of stock photography, producing images for photographic picture libraries. This has now become a well-established part of the commercial side of my business. Since 2008, I have also developed my personal passion for landscape photography and have incorporated this into the business, carrying out commissions and producing landscape work for sale. Keeping up to date with photographic technology and with clients’ requirements has, however, led to many changes over the years and has meant that my business is continually moving forward. Photography has been my chosen career since 1991. It is a privilege to work with all my clients and the pleasure I gain today from seeing their response to my work, is as great as it was on the day I sold my very first picture.